When an employee is injured at work, workers’ compensation benefits are the most common remedy for high medical bills and lost income. However, if a third party is responsible for the worker’s ailments, the injured employee may pursue compensation through a third party work injury claim. Most workplace injuries are the fault of the employee who was hurt, a coworker, management, or some combination of the three. In these cases, workers’ compensation typically provides financial relief in the form of medical and lost income benefits. Employees receiving workers’ compensation benefits are barred from suing their employers for additional damages. However, injured workers can still initiate a lawsuit against third parties, regardless of their workers’ compensation status. If your work-related injuries were caused by a third party, you can still qualify to receive workers’ compensation benefits. These benefits provide coverage for medical expenses; supplemental income if you miss work while you recover; payments for permanent disability; and retraining if you're unable to return to your job. Third party claims, on the other hand, allow you to sue for emotional trauma, pain and suffering, loss of independence, and punitive damages. 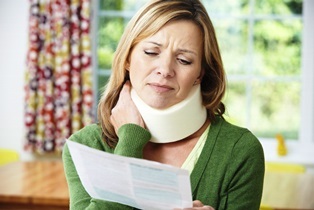 You need an experienced personal injury attorney to help you pursue these claims. To discuss your claim, contact the law offices of Steve M. Lee, P.C., by using the form on this page.